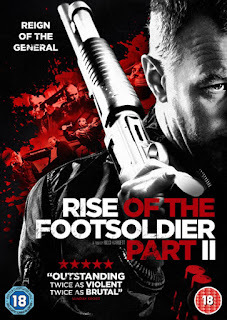 To celebrate the release of Ricci Harnett's new film, Rise of the Footsoldier 2, which arrived on Steelbook, Blu-ray, and DVD, on the 26th of December, 2015, my pals and I over at Signature Entertainment thought it would be a good idea to give away three copies to those of you who enter our silly caption competition. 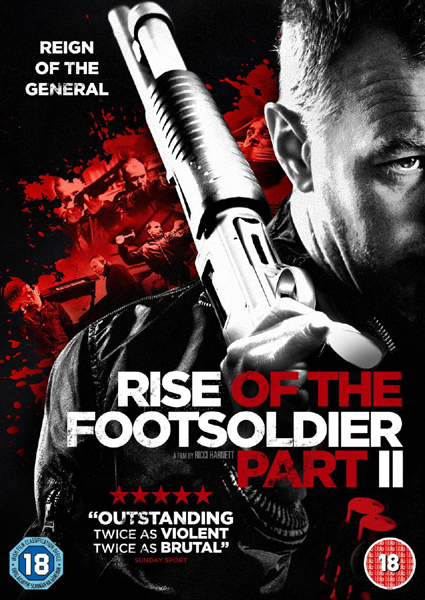 Now for those of you not in the know, let me just say that Rise Of The Footsoldier 2 reintroduces us to the tortured wide boy, Carlton Leech (as played by Ricci Harnett), who's basically a shadow of his former self, following the murder of three Essex gang members who were also his close personal friends. Self-medicating on drugs and booze to dull the pain -- and amidst ongoing fears of further retribution -- Carlton must nevertheless fight to regain his place in the criminal underworld until circumstances conspire to place him at the heart of what might just become his final job. The movie also features legendary actor Steven Berkoff (Rambo), Luke Mably (28 Days Later), Daniel Adegboyega (Skyfall), Joshua Osei (Vendetta), and Jonathan Harden (Five Minutes of Heaven) to round off a fearsome cast. Furthermore, I best mention that you have to submit your entry by midnight, on the 31st of January, 2016, Greenwich Mean Time, and that you have to be living in the UK to enter. OK. So have you got all that? Good. And good luck to you too.